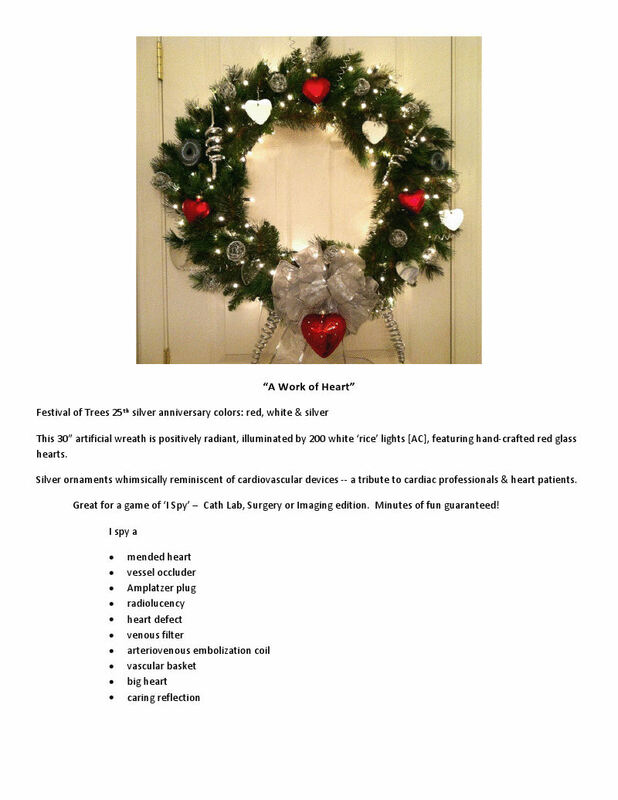 This wreath, “A Work of Heart”, was created to be auctioned at Festival of Trees, annual fundraiser for Mary Bridge Children’s Hosptial. Families from Mended Little Hearts of Puget Sound helped make the ornaments and Diane Zook designed and assembled the wreath. Diane represents Mary Bridge Pediatric Heart Center and MultiCare’s Research Institute. Mended Little Hearts Puget Sound can not thank her enough for all of her support and enthusiasm. Save the Date Mended Little Hearts has partnered with the American College of Cardiology to Present: Pulse Oximetry Screening: An Introduction to Advocacy Issues This webinar is designed for anyone who wants to learn more about pulse oximetry advocacy—whether you are a new or experienced advocate. Participants will: learn what pulse oximetry screening is and what it isn’t. learn benefits of pulse oximetry screening and obstacles to effective use of pulse oximetry screening. be able to identify key issues of pulse oximetry screening occurring at the federal level and the state level. be provided with tools to constructively advocate in their home district This webinar will take place on Tuesday, July 26, 2011 at 8:00 p.m. EDT, 7:00 Central, 6:00 Mountain and 5:00 Pacific. Our groups have been hard at work to make this the most successful CHD Awareness Week to date! We offer a brief definition of terms; proclamation-a declaration, resolution-an adopted motion deemed important enough to be put in writing and citation-an official, formal public statement or award. No matter the term it all amounts to increased awareness and we have been fortunate enough to have cities, counties and states support our efforts. Washington State Proclamation City of Sacramento, CA City of Zephyrhills, FL Coventry, RI State of Wisconsin Allegheny County, PA City of Appleton, WI State of Maryland Phoenix, AZ State of Virginia Resolution Village of Victor, NY We will continue to update this list as they come in. Our own Donnie Wilson on the CHD Show with Jim Feretti! 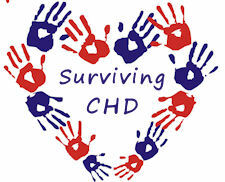 Jim Ferretti is a CHD dad who is working to raise awareness through a project called The CHD Show with Jim Ferretti. Here he interviews our own Donnie Wilson. Click here, The CHD Show-January 27, 2011 to listen to him talk about his son Jacob and their experience with CHD.